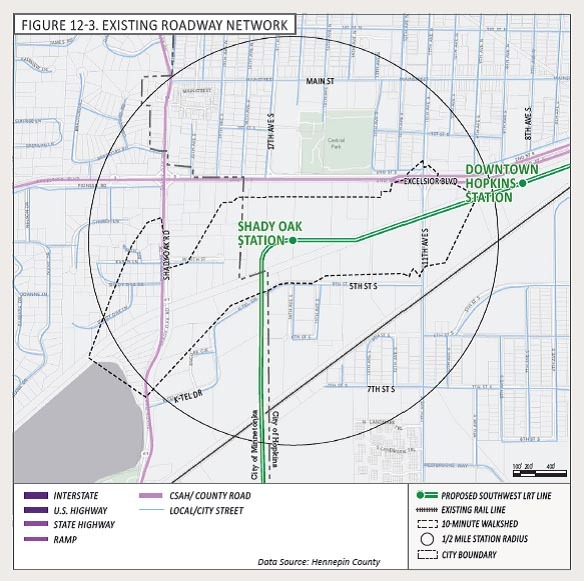 Shady Oak Station is positioned on the border of Hopkins and Minnetonka. 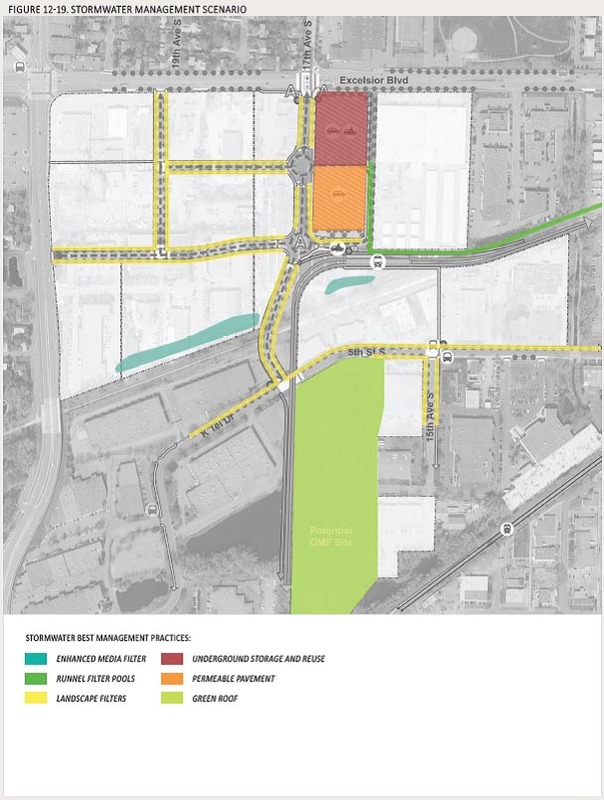 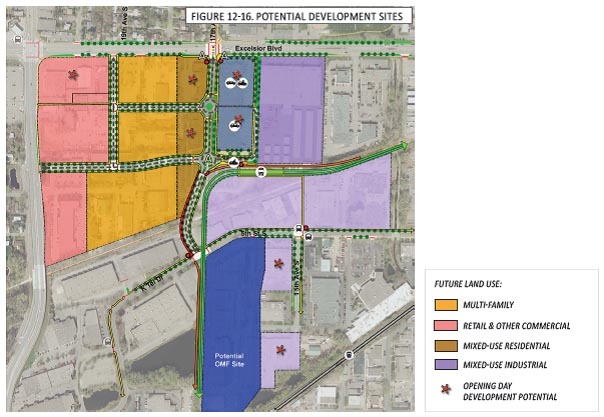 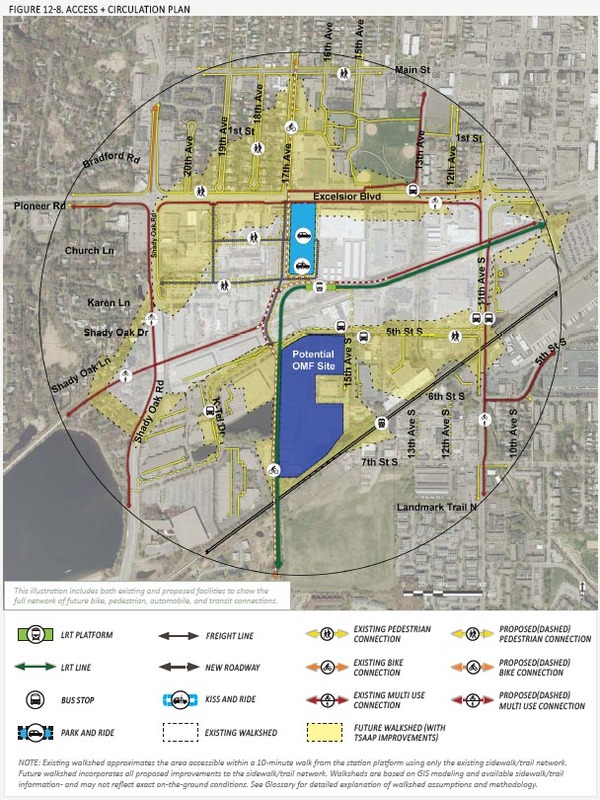 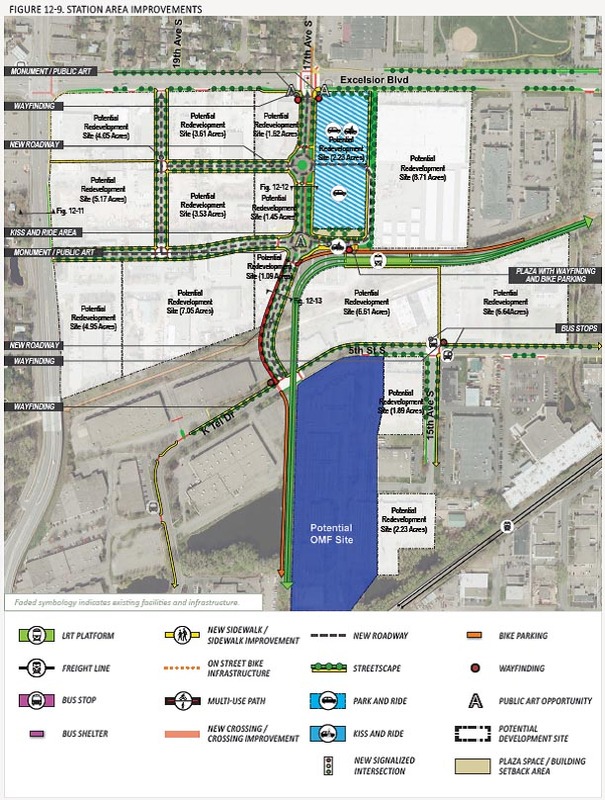 The station is located among large light-industrial parcels and surface parking areas which are landlocked, providing the opportunity to create new streets, sidewalks and trails. 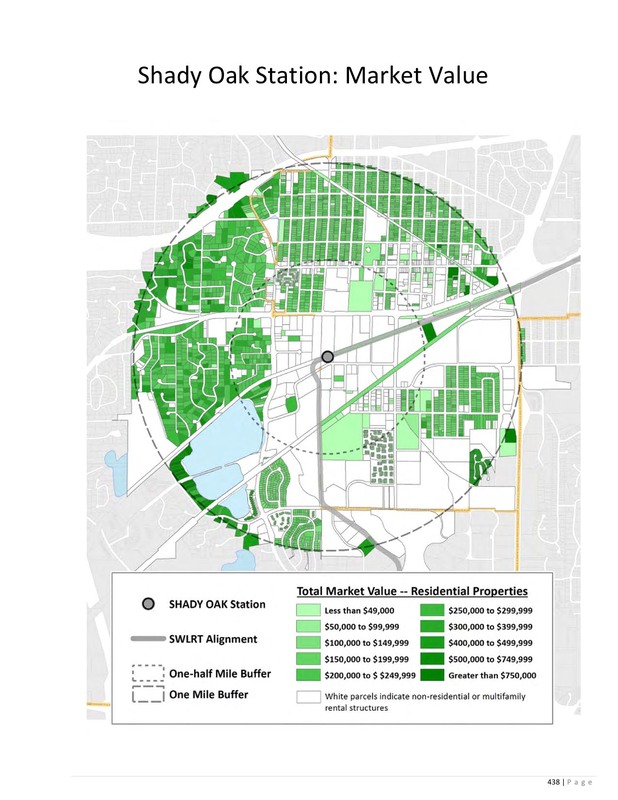 The surrounding area includes the popular Shady Oak Beach Park, an 85-acre recreational area and beach in Minnetonka. 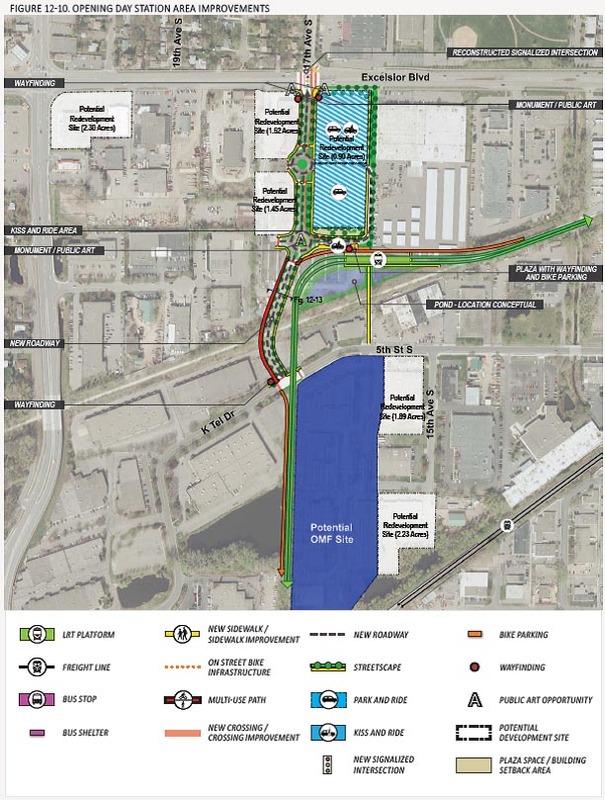 Hopkins Pavilion and Central Park are also close. 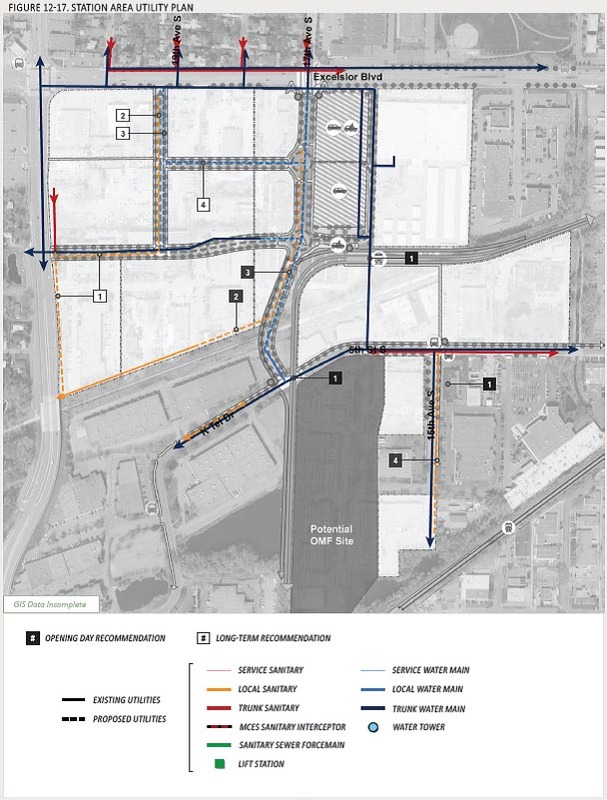 Future development will gradually turn aging industrial uses to new residential and office developments, bringing better connectivity for pedestrians, bicyclists and automobiles. 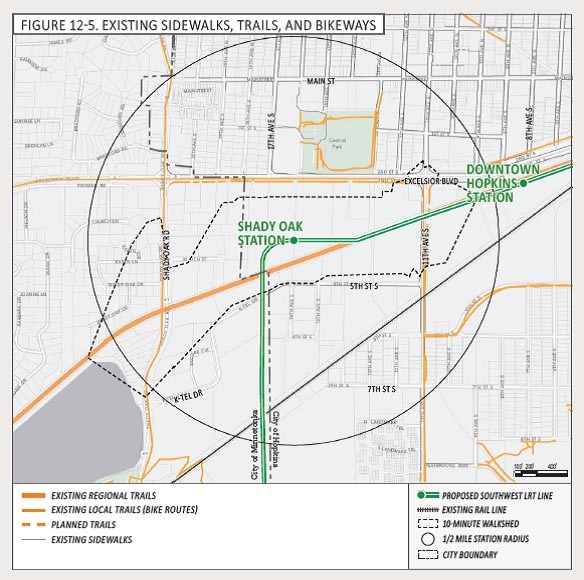 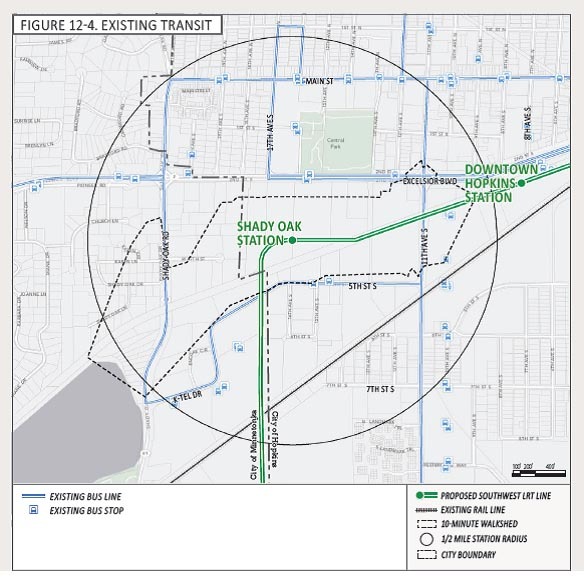 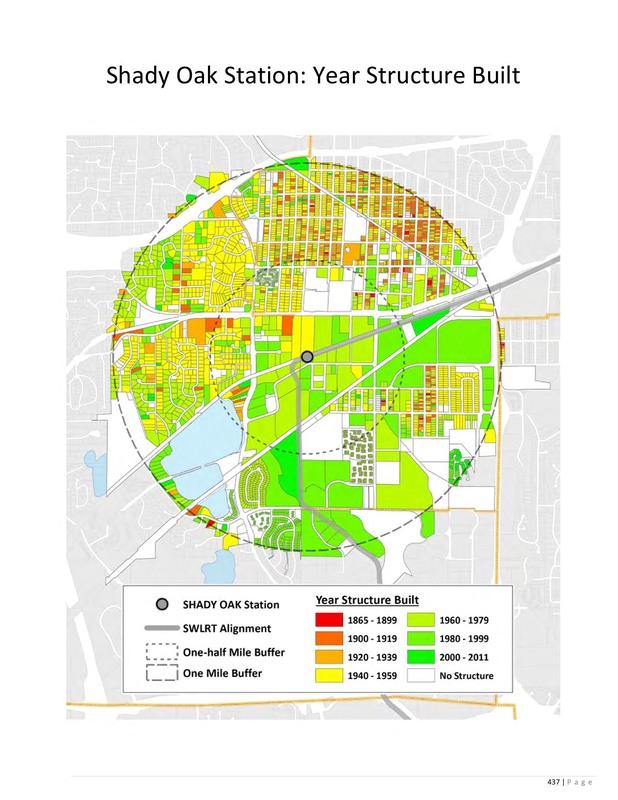 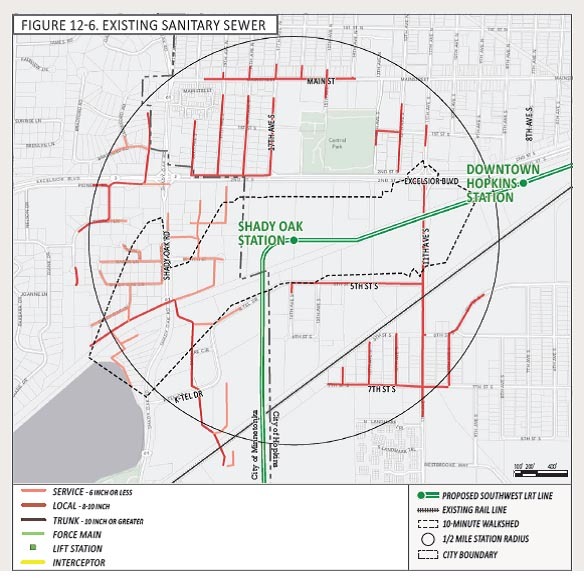 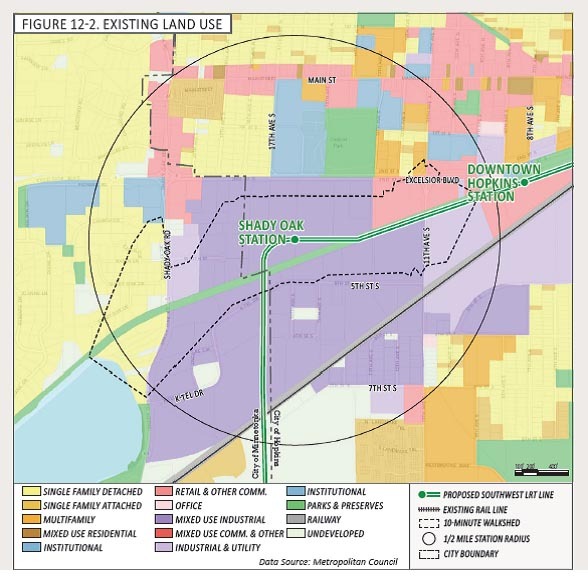 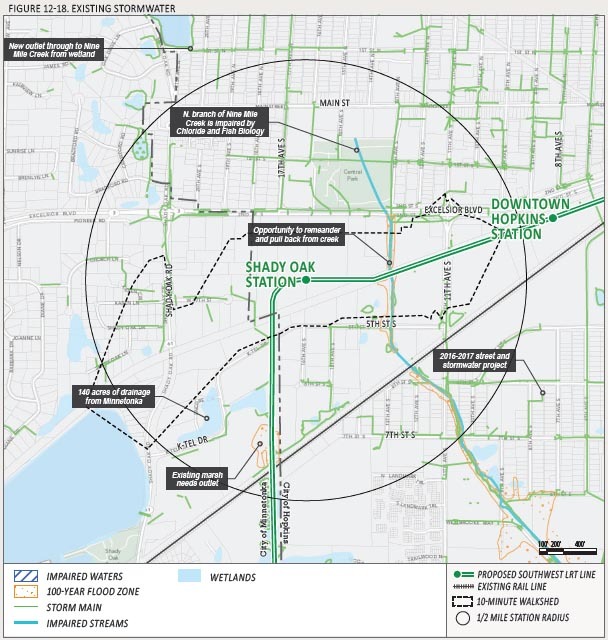 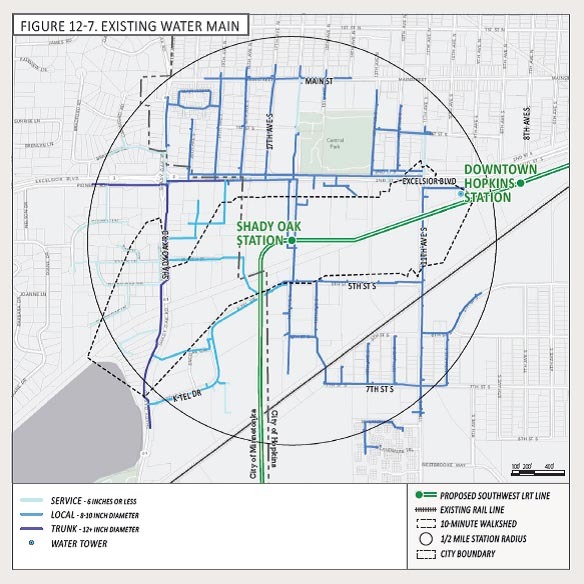 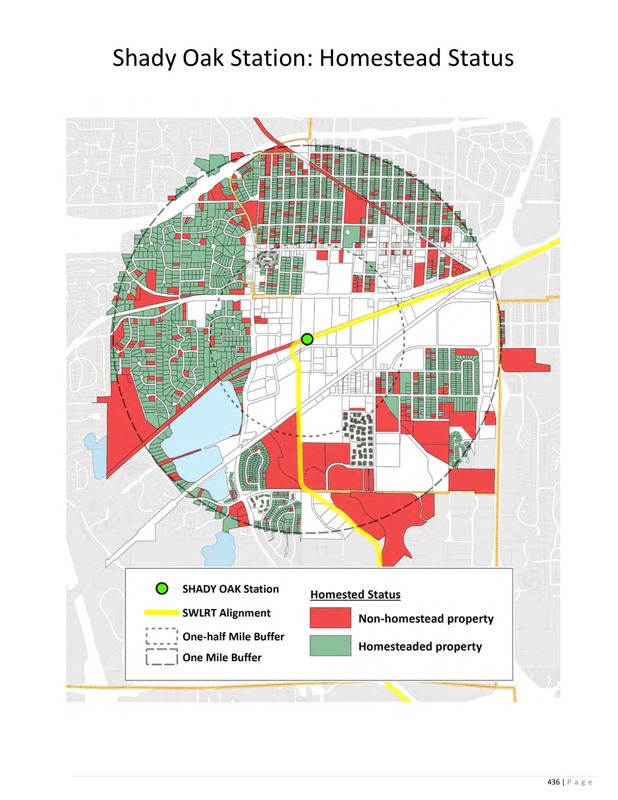 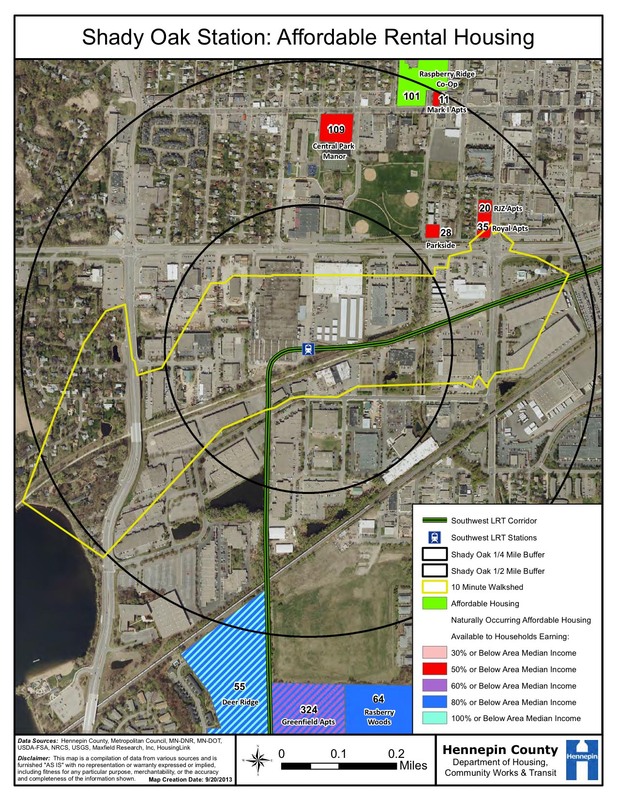 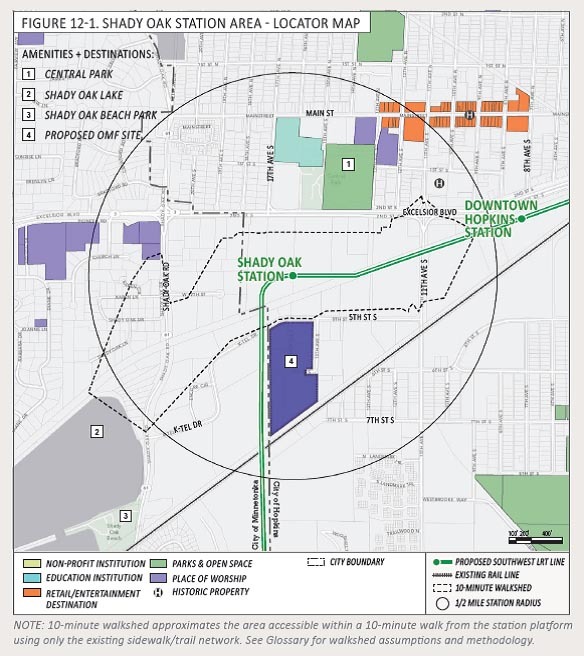 The maps and plans below are included in the Shady Oak Transitional Station Area Action Plan (TSAAP), which can be found in the Southwest Corridor investment framework. 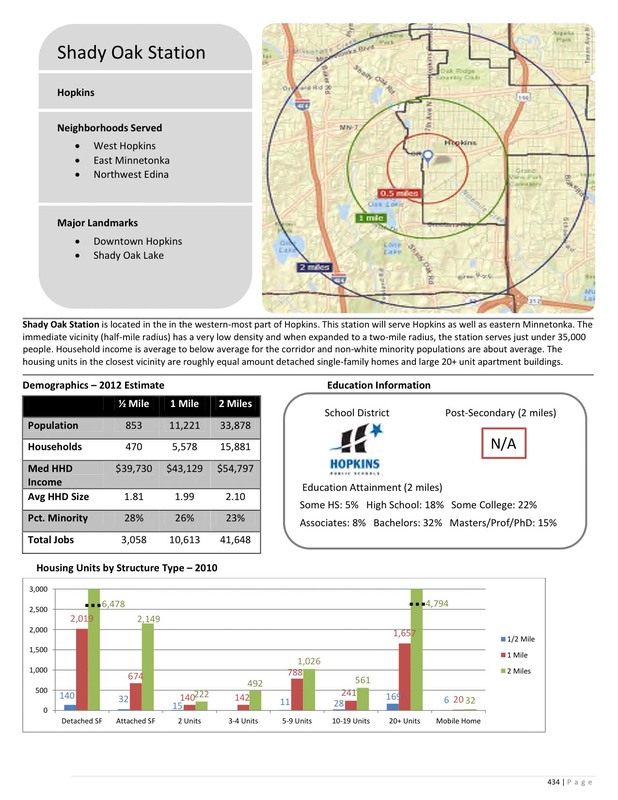 Read the full investment framework.